Australia’s leading universities say a new Equity and Innovation Panel announced by the Federal Government this week is an important step in addressing equity and access to Australia’s university sector. 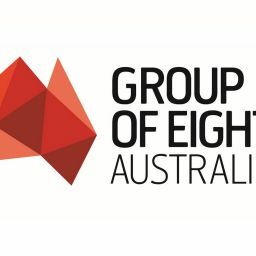 Group of Eight (Go8) Chief Executive, Vicki Thomson said the expertise and breadth of experience on this Panel, bringing together research expertise, practitioners, community organisations and those charged with policy implementation is a new step in delivering strategic advice on equity initiatives. “The Go8 embraces this initiative and we look forward to working with the Panel,” Ms Thomson said. The Go8 has a significant research and teaching investment in students from less advantaged backgrounds. As substantial beneficiaries of support through the Higher Education Participation and Partnerships Program (HEPPP), Go8 universities deliver improved outcomes for students from all backgrounds across the Australian community. “All Go8 universities are significant recipients of HEPPP funding and, as Group, we spends more than 30 per cent of HEPPP funding on regional outreach activity, ” said Go8 Chief Executive, Vicki Thomson. The work of this panel builds on the work being undertaken to review the current equity categories, led by Dr Wojtek Tomaszewski, a member of the newly established Panel and a leading researcher in the field from the University of Queensland. “There are several areas where, as a sector we need to improve the definition and identifying of equity. We believe that students from remote backgrounds face unique challenges that would warrant their own equity status and we also support the development of a robust and refined method to identify students that have multiple layers of disadvantage. “Poverty and disadvantage must not be a barrier to entry to our universities. The current review of equity categories, somewhat overdue, will go a long way toward lifting the aspirations of Australians to not only access a university education but to succeed in that education,” Ms Thomson said.